I'm a freelance writer. My passions are Art, Dining out, and quirky things. I enjoy uncovering hidden in plain sight gems. Luxe Therapy is located on the street level side of Elizabeth Street in Melbourne Central. I was looking for Max Therapy (my old favorite massage place), but found this is instead. And it was a great find. 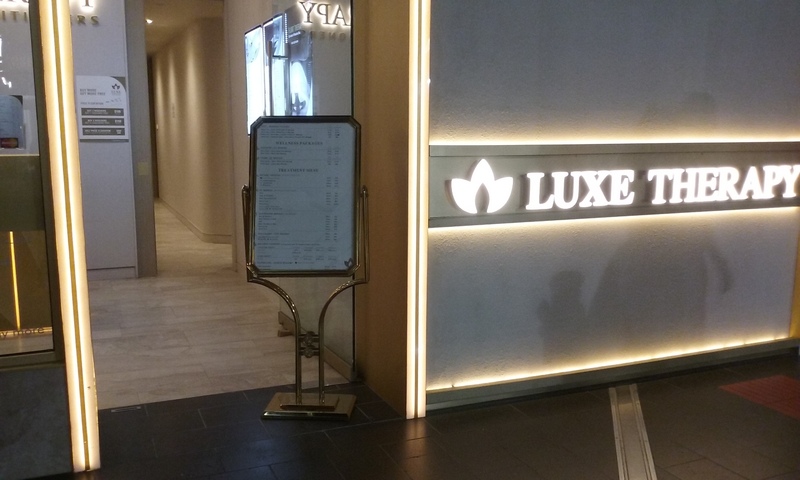 Luxe therapy provide a range of treatment services ranging from floatation therapy, steam therapy, and massage, as well as acupuncture treatment. Their philosophy stems out of natural therapy and wanting to provide a luxurious service. This store is one of four around Melbourne. They can also be found in Greensborough, Werribee, and Chadstone. I was a bit reticient on going somewhere new , but was glad I did. My massage therapist was professional, kind and listened to what I required from the pressure. Where's your favourite place to get deluxe natural therapy? When: Saturday to Wednesday - 10am to 7pm ; Thursday - Friday - 10am - 9pm.